Published: Aug. 24, 2018 at 09:11 p.m.
New York Jets running back Trenton Cannon can't hang on and New York Giants tight end Jerell Adams recovers the fumble. Published: Nov. 19, 2017 at 04:40 p.m.
Watch every play from the final drive the New York Giants took to win the game. 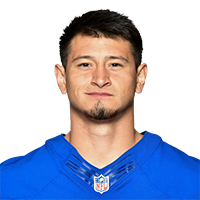 Published: Nov. 19, 2017 at 04:34 p.m.
New York Giants kicker Aldrick Rosas lands game-winning field goal. Published: Nov. 19, 2017 at 03:57 p.m.
New York Giants kicker Aldrick Rosas hits a crucial field goal to put the Giants ahead in the 4th quarter.